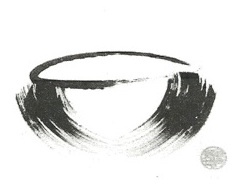 A monastic tradition of many religions is to go begging in the morning with an empty bowl. Whatever will be placed in the bowl, whether it is a little or a lot will be enough for the day’s nourishment. Even the Japanese word for begging is oroki…meaning “just enough”. Although we no longer have the discipline of begging as an honorable sign of interdependence, we can practice being of the same mind as a beggar: spiritually hungry, receptive, and grateful. A young man can to a wise monk to learn what was necessary to become holy. He had many questions about the right way to do things. The monk simply asked him to sit and pour tea into a cup until told to stop. Reluctantly, he poured until tea spilled on the floor. When he asked why the monk why he didn’t stop him, the monk replied: “Because you are a full cup. Until you experience your emptiness, there is no room for the Holy”. Many people come to the Whidbey Institute to be “filled up” and yet, ironically, going away empty is another way to think of renewal. May this bowl remain empty (no peanuts, no paperclips) as a reminder of need and trust in the One who provides for us even beyond our awareness. Beg daily to be filled with the Chinook Wind, the Spirit that will warm, nourish, enliven, and direct your personal work and path back out the road from the Institute…with gratitude.